Receive Organlive News as an RSS feed. It's April, which means we're nearing the end of our budget year. Why April? A long time ago we used to pay our stream hosting bill for an entire year. The first time we could do that was in May, which meant we needed to have the money on hand to pay that bill by the end of April when it came due the next time. We don't do things quite that way anymore, but we still use the month of April to try and raise our entire operating budget for the next 12 months. For 15 years, now, we've taken this month to ask our listeners to consider how much Organlive, Positively Baroque, The Organ Experience and the other projects of the Organ Media Foundation mean to them. Compared to operating a terrestrial broadcast station, our expenses are very small, but the expenses are there. Our largest monthly expense covers the cost of our two servers used to send the music out to you and the bandwidth required to make sure there anyone who wishes to tune in can do so and receive a clear, signal. Currently we require more than 320 gigabytes per day, and that amount grows as we expand and new listeners find our stations. Our second largest expense, and one of the most uncomfortable adjustments we've had to make is to the music licensing agencies, SESAC, ASCAP, BMI, and SoundExchange. When the current rates for webcasters went into effect in 2016, rates for small webcasters went up so much that many, including Live365, where Organlive started, stopped playing music altogether. Our overall costs to run our stations has risen significantly in the past three years. We have already approached most of you, several of you have renewed your support, and even increased it over previous years. If you're in this group, then thank you for stepping forward. If you haven't yet, keep reading. We see more than 25,000 different listeners tuning in from all over the world every month. Unfortunately, we know we can't expect help from all of them, but if even just a quarter of those listeners gave a single dollar, we would be done with fundraising. You don't have to give a lot, our contribution levels start at just $1. How much is a full year of free access to the music of the classical organ worth to you? These are just suggestions, you may donate any amount you choose. All sponsors are recognized on our Donors Page. Perhaps this is the year you move up a level to help keep Organlive broadcasting? If a one-time donation is a bit much for you right now, you can reach any level of sponsorship by making a monthly payment. PayPal can automatically send us a small amount each month. These monthly contribution amounts start at $1 and go up to $40. All the contributions are made to the Organ Media Foundation, a 501(c)(3) non-profit organization which may make your contribution tax-deductible. To contribute, simply go to our Support page and select a level at which you would like to contribute. You will be taken to a PayPal page where you can check out securely and safely. You can also contribute to the Foundation by check or money order. The information to do that is also on that page. Become a Supporter of Organlive! And remember, the more we raise through this email, the less we have to interrupt our broadcast to ask for help, and the sooner we reach our goal, the sooner our broadcast returns to normal! Now go help us keep the music of the organ alive! 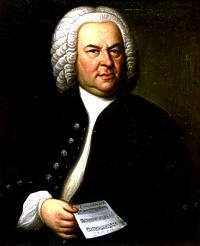 This week, on Thursday, March 21 we'll celebrate the 334th birthday of one of our favorite composers, J.S. Bach. From now through most of the week, we'll be playing nothing but the organ music of Bach, 24 hours a day. Only Bach tracks will be available for request during this time. Tune in today and join thousands of listeners from around the world in celebrating the birthday of this great master! After eight years of silence, the great Rieger organ of the Christchurch town hall will be heard again. Restored and enlarged, the organ will be played by international concert organist Martin Setchell. This concert will be broadcast live on Organlive.com. One highlight will be a brilliant new work, appropriately entitled 'Celebration', specially commissioned by Martin from the popular Norwegian composer Mons Leidvin Takle. The program will be performed twice, and we'll present both performances. The first is at 6:10 pm central time, the second at 11:00 pm central time. We're currently experiencing some problems with our online request system. We're working to locate the problem and hope to have it back up as soon as possible. Certainly before the Christmas music starts! UPDATE: It appears that requests are going through even if the message received says the request failed. This year we're jumping in early and heading off questions from the impatient ones who want us to start our Christmas broadcast and to start including the hidden part of our library that only comes out at the end of the year. On December 1st (or thereabouts) you'll begin hearing seasonal works in the regular Organlive broadcast. We start slow, but increase the amount as we get closer to the end of the month. Those tracks will be available to request then, as well. Keep watching here for more information! But, for those who can't get enough, our pop-up station Christmas Organlive is back. That's where we play only the Christmas and Advent portions of our library. Just like Organlive, it's free and easy to tune in. Just visit the xmas.organlive.com.